Over the moon about getting stuff done this month! My biggest finish was my "Dresden Rainbow" wedding quilt, with the guestbook on the back! Thank you for all of your support and love for this quilt! I met my August Goal with "Sedona." I made a skirt using some prized AMH fabric. One of the five commission t-shirt quilts I have to do before Christmas was finished (will post about this soon - it was for a dear friend). And I caught up on Sisters' Ten BOM blocks from July and August. Phew. Oh, and we finished the Lantern-a-long! Hopefully September will be just as productive, though I'm not sure if it can be with going back to work and all! Positive thinking, right? But, at least it's almost time to get out all the fall stuff :D I already started drinking pumpkin coffee in the morning! Are you looking forward to fall, too? Yum, pumpkin lattes are my favourite! 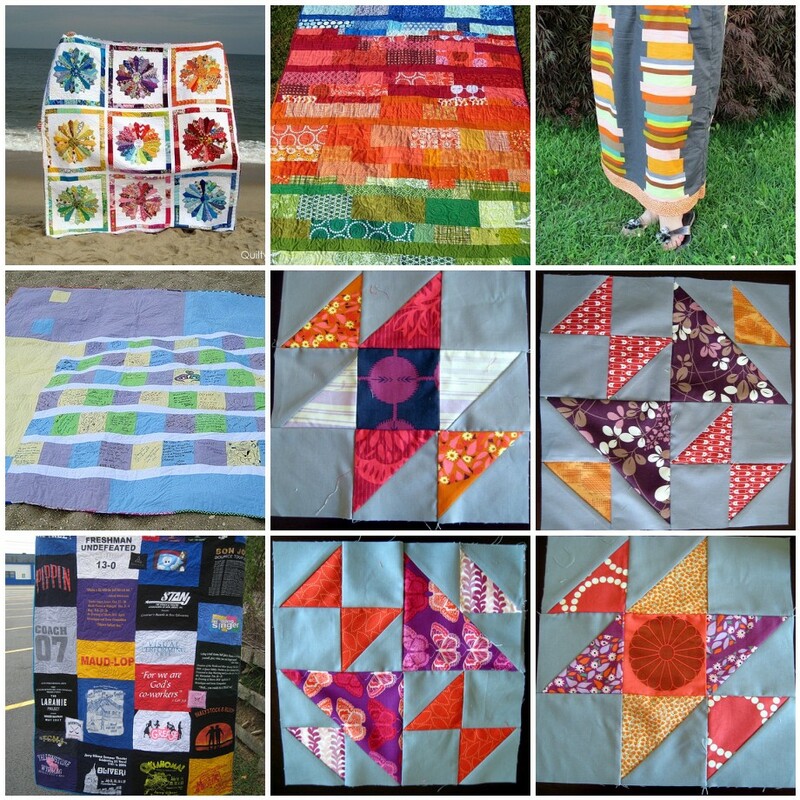 I love your quilts and blocks, such beautiful colours! Everything you did looks so beautiful! 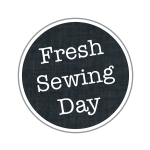 Great Sewing month for you! I have never had pumpkin coffee or latte! Is it really made out of pumpkin? Something new for me to try when I next visit the USA (soon I hope). And, by the way, I really love your quilt! You certainly had a very productive (and inspiring) month! Love the colors on your Dresden and Sedona. At first I thought the skirt was a quilt you were holding up! Very cute. I think the picture of you wrapped in a quilt is darling! We are kindred spirits- I'm a teacher by day and quilter by night too! Hope your school year goes well! New Modern Trees QAL @ Christa Quilts! Featured on Quilt Story today!